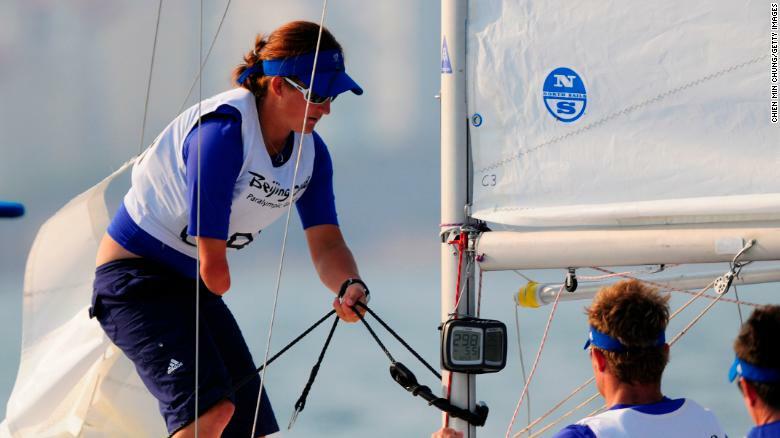 Hannah Stodel, who has represented Great Britain four times at the Paralympics and is a three-time world champion, was born without her lower right arm. It seems she was always destined to follow in the footsteps of her parents who were both competitive sailors, her mother just missing out on selection for the 1988 Olympic Games. She’s been on a boat, Stodel says, for as long as she can remember. In 2020, the Vendee Globe will see competitors set out from Les Sables d’Olonne in western France to circumnavigate the globe — nonstop, and solo. It’s considered one of the toughest sporting challenges in the world. Stodel is aiming to become the first disabled sailor to compete and finish — bringing a whole new meaning to the Vendee Globe’s “single-handed” nature.